Wrapping up February really makes me think about equality. Is there equality in my classroom? Three years ago (The first year in a class room) I would have said, “yes”, but now looking back on the activities we did and the resources we had I would adamantly say, “no.” My classroom looked like every other 1st year teacher’s class. I stole everything I could from my colleagues and set up the most creative lessons and projects I could manage. However, I only had 4 computers, and when you turned them on they sounded like an airplane was about to launch from my room. Whenever we used those tools they would process requests slowly and it would usually take ten minutes for a website to load. Need less to say, my computers were rarely used effectively. Today, my students were in that kind of mood. You guessed it rowdy. My students go to various stations most days during our Reading and Writing time, but I had so many worth while activities for them to do today we were supposed to be working in stations for most of our subjects. After our first set of normal stations were completed and we transitioned to not-so-common math stations, they started to get wild. Unfortunately, I let the 9 letter word fly out of my mouth, “worksheet”. I instantly knew that making my students complete mindless worksheets would be as big of a punishment for me as it is for them. I tried to describe my 4th grade experience to them, and how all we did all day was complete worksheets. They didn’t understand. A world without technology is foreign to them. Then, I reflected upon my first year teaching, and what life would be like if my class didn’t have Ipads. Ipads bring equality. My first year teaching, I would assign amazing projects that they would have to complete at home because they would need to use the internet to research. Not all of my students have access to internet, so the assignments really weren’t fair. They didn’t have equal access to resources they needed to complete the assignment. When my husband and I disagree on something, I don’t say, “Hey! I am going to get the Encyclopedia, and I am going to show you I am right!” My husband whips out his Smartphone and says, “I’ll google it.” In my classroom I work with “googlers”. 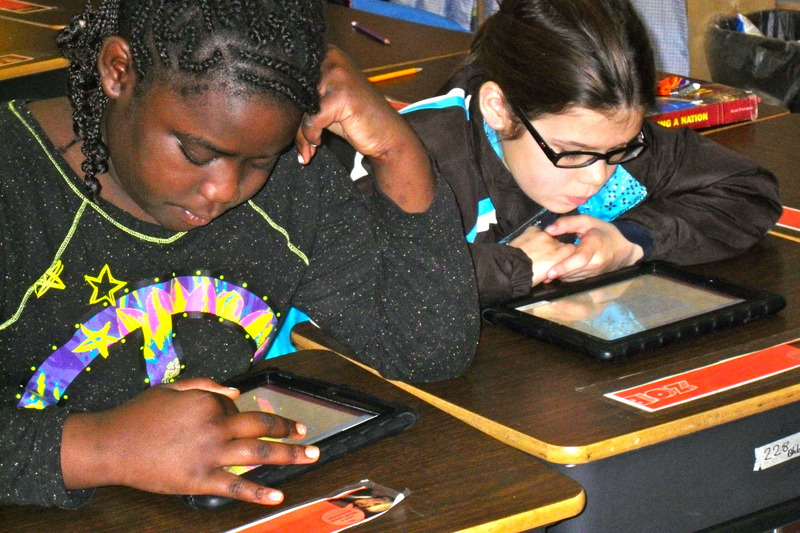 In their hands lies the technology to create a fair and equal classroom. Every student has the resource he needs to feed any inquiry he may have during the day. Have a questions? Google it! We are a classroom of problem solvers who have learned how to access and apply appropriate and valid information. Now is the time to transition your classroom into a community of independent and self-sufficient learners. Thank you! Teaching is an extremely rewarding career! « Learning Government is Boring! Allow Students to become a part in government!